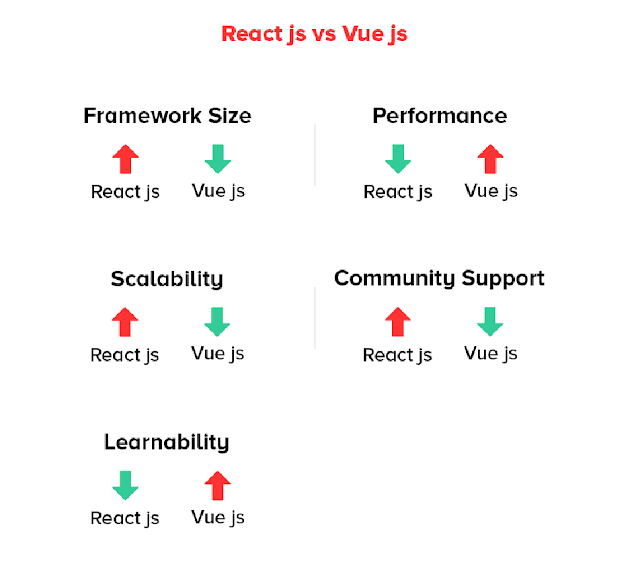 Vue.Js Is Good, But Do You Think It Is Better Than React? Each and every time you start a new project, you face this dilemma of either to go for the latest and greatest or to stick to the good old stack of technologies. Well, if you ask me in person, I would definitely like to go with the second option as it’s quite time-saving. Overall, choosing a tech stack can be pretty tedious at times. I mean one needs to take every small aspect into account ranging from budget to time, app size, end-users, project objectives, resources, and the list goes on. Whether you are a beginner or a well-experienced professional, it is very important for one to be aware regarding the pros and cons of each option in detail. Well, I am not saying that the post will offer you everything that you can do to boost your development tasks but it will at least provide you with a good grounding. Apart from this, every business has a desire to stay ahead of the tech curve. As a result, one by default has to chase new trends. Down below I would like to mention some of the most popular frameworks according to GitHub statistics. If you take a close look at the graph, you will find that Vue.js on the rapid basis is gaining popularity despite being pretty young in comparison to others. However, likes and real contribution are two different sides of a coin. I am not saying that the stats are wrong but more complex an app is, it becomes more difficult to choose the right framework. So let’s focus on the differences and specifics. 1. Simplicity- Using React for mobile development means you will be conducting a smooth transition in terms of syntax. All you require is a developer having a good knowledge of HTML. 2. Flexible- React.js comes with high flexibility level and responsiveness. 3. Virtual DOM- This feature allows arranging of the documentation in XHTML, HTML, and XML format in a tree form where things are easy to accept by web browsers when parsing different element of the web app. 4. Open source- Being 100% open source library, Reactjs app development framework tends to remain improved and updated day in day out. All thanks to the contributions made by developers around the world. 2. Unfortunately, the learnability scale is on the higher side. A Reactjs developer requires ample of time to understand the nuances attached to it. Even with these shortcomings, the continuous adaptation is what keeps the ReactJS web application development afloat in the market. ⦁ Heavy use of HTML: Fortunately, Vue offers a lot of similar features like Angular, this helps a lot in optimizing HTML blocks handling; of course, with the help of different components. ⦁ Adaptation- App development is something that does involve rapid switching time from different frameworks. And because Vuejs has architecture and design similar to react and Angularjs, it becomes easy for professionals to work with such frameworks. ⦁ Great integration- Highly used for the development of both single page and complex web interfaces of the apps. ⦁ Large scaling: When it’s about developing reusable templates, Vue turns out to be extremely helpful as it can be easily developed in no extra time. 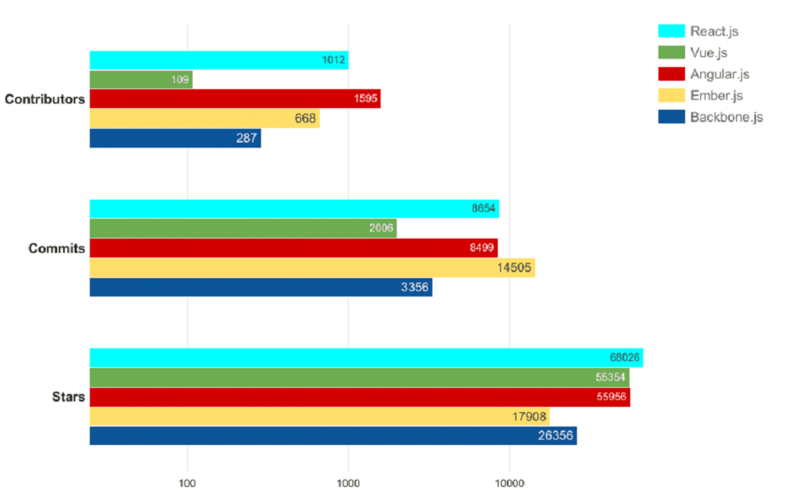 ⦁ Less resources- Speaking of the market share, Vue.js is a lot similar than Angular or React. This means that knowledge sharing is in a beginning phase. ⦁ Over flexibility- There have been serious integration issues of the framework in big projects. This is very critical as there is no possible solution. ⦁ Absence of complete English documentation- A large portion of the Vue documentation is in Mandarin. It becomes quite difficult for developers to some extent. Every framework has its own pros and cons, so there is no cookie-cutter answer. All I can say is that “it depends”. Besides, there should always be a right choice for every single case during the product development. Author bio : Rooney Reeves is a content strategist and a technical blogger associated with well known firm for eTatvaSoft – Web & Mobile App Development Company in India. An old hand writer by day and an avid reader by night, she has a vast experience in writing about new products, software design and test-driven methodology. Her write-ups mainly features anything and everything related to the web!